There’s no new Glee episode on tonight (just a repeat of “Hairography”), but why not take time during this lull to get to know the newest New Direction? Chord Overstreet has only starred in two episodes thus far, but as Sam, he has already dealt with jabs about his extra-wide grin and Bieber-esque hairdo, fended off rampant rumors about being Kurt’s gay love interest, and read a slew of bad pickup lines with great lack of finesse. 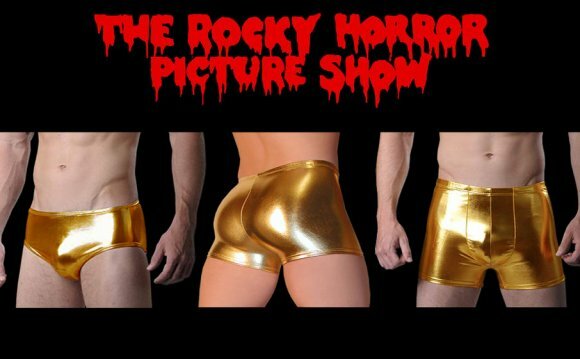 Next week he’ll add the donning of gold lamé shorts to that list of mild indignities, in the much-touted Rocky Horror episode. He told us about the origin of his excellent name, the necessary skills for playing a doofus, and the perils of showering onscreen. First of all, we must address your fantastic, seemingly tailor-made-for-Glee name. Please explain where it came from. Did you know anything about Sam’s character before your audition? I really didn’t have a clue at all when I auditioned, and they hadn’t written anything for the character yet. I read the sides for the pilot as Finn. Maybe [based on] the take I had on my audition they were like, well, this will work for the character, and on top of it they knew I could sing. Or maybe they just needed a new kid who’s really awkward and makes bad jokes. Once they cast me, they kind of wrote it for me basically. We mean this as a compliment, but you’re quite good at playing a doofus who has a tendency to put his foot in his mouth. Did that take a lot of practice? Well, it should be easy for me since they reference my mouth being extra large numerous times. But no, it’s awesome. Everybody roots for the guy who puts his foot in his mouth. I love how goofy they wrote it; it just makes him much more lovable. It’s a lot of work any way you look at it, but the character itself comes easy to me, 'cause it’s pretty much me in a nutshell. I’m lucky the writers write clever jokes to make me seem funny. That’s why I kept telling everybody, you’ve gotta watch season two if you want to know! I could possibly be going out with Quinn! Nothing’s set in stone because it’s TV, but I’d definitely like to see my relationship with her go a little further.